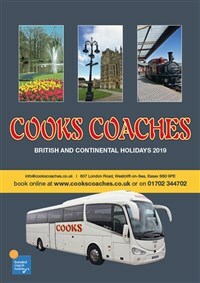 A new excursion for summer! 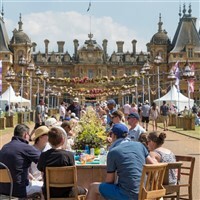 Be amazed, delighted and entertained by a range of extraordinary street theatre and arts performances at the fabulous Waddesdon Manor. Apart from visiting the beautiful Manor house you will see the North Front transformed with flowers, colourful flags and decorated tables. Take a seat and enjoy a picnic, or try some of the mouth-wateringly good hot food on offer. Wander through the Aviary glade and peruse the shopping village featuring a selection of quality arts and crafts, plants and homeware stallholders. There will be the fun-tastic Reality Arcade, a life-sized interactive game zone, inspired by ten classic arcade games for all ages to enjoy. With all this, family activities and acoustic music on Saturday theres something for everyone to delight in!